Zapier is a service which provides a middle ware for hundreds of applications to communicate with each other. In many cases, using Zapier can allow you to link TeamSupport with a product we may not have written a native integration for, and provide you with a way to connect your various business systems together. 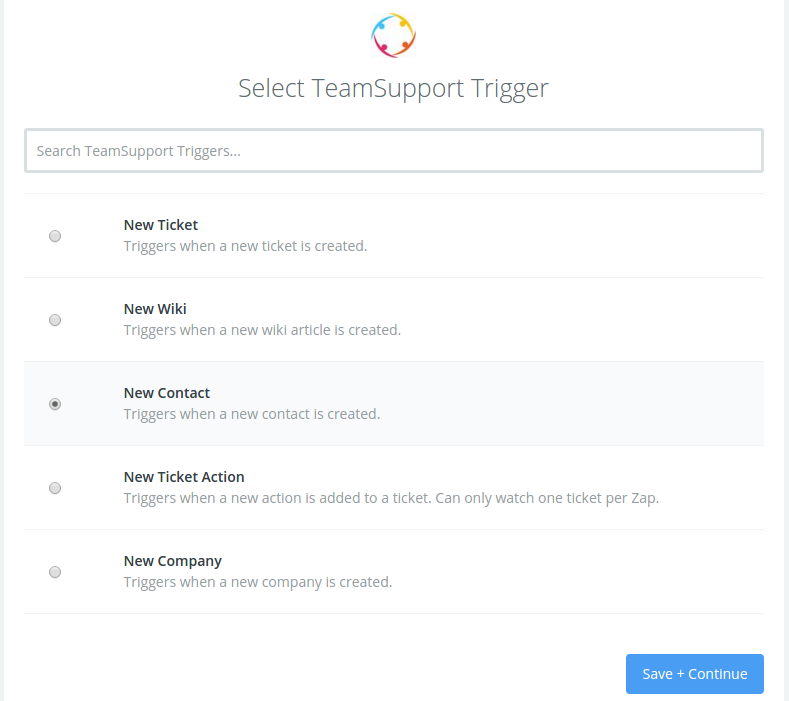 TeamSupport is currently in a beta mode with Zapier and you will need an invitation link to get started. Your invitation link depends on which TeamSupport server you use to login. What is my Server Name/URL? Here are some examples of commands that you can use as actions or triggers from within Zapier. For example, you may want to create a ticket manually based on specific emails sent to a Gmail address. Zapier can handle this easily by setting up TeamSupport as a trigger from Gmail, or any other application listed in Zapier.